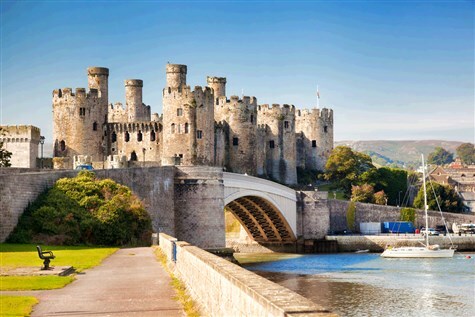 Conwy is a world heritage site with an imposing 13th century castle and walls, which encapsulate the remarkable medieval town. The Quay is a particularly stunning place to visit in the summer, with cosy quayside pubs and boat trips. The elegant suspension bridge was built by Thomas Telford and Plas Mawr is arguably the best preserved Elizabethan townhouse in Great Britain, whilst the town also boasts the Smallest House in Britain and Aberconwy House, a rare 14th century merchants dwelling. There is a unique mix of shops to delight and entice. Betws-y-Coed is the gateway to Snowdonia and offers a warm Welsh welcome. It has a distinctly Alpine feel enhanced by the dense Gwydyr Forest which surrounds the town. There are plenty of shops to browse and a railway museum to explore.